Hi all, I am a BBQ nut. Anyway, When we are on a road trip, unless the weather is TERRIBLE, we do most of our cooking on some sort of a grill. Right now we are using a Kumma Stowe and Go. It looks just like the one below. Lots of plusses. Stainless construction, Lid latches closed, has a bag, fits in the top above my home-brew Baja Box Shelf. Big minus is even with tuning this does well when set to High, but cannot be turned down below Medium, but that is still pretty hot, and does VERY poorly in wind, Propane bottle has to hang over the edge of the table, so you cannot put it directly on the ground. I have used and like the O-Grill but it doesn't fit in the box. So, I am looking for a quality propane (preferable) or charcoal grill that fits in the box when set flat. I would like a low height if possible but I love keeping a grill outside because of the residual smell and the ability to keep things clean inside. 1. What do you use? 3. What don't you like about yours? 4. What would you do differently? I use my trusty old Smokey Joe Weber. 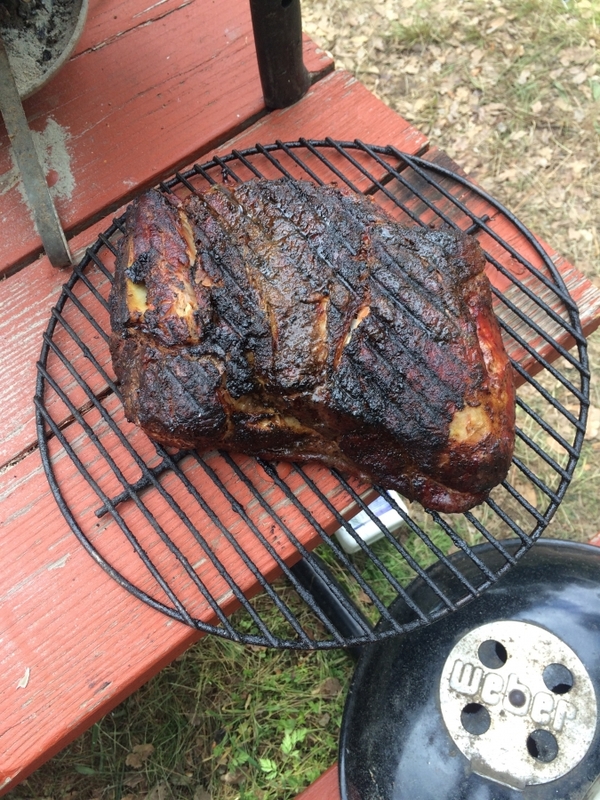 You can smoke for hours on a few brickets, or grill hot if you want. It's not huge, but I've fit 8lb shoulders on it for 8+ hours. What don't I like? The legs. I'm going to make stronger removable legs so it all packs up easier.. one of these days. It fits in mine, but mine is narrower so it doesn't fit with the lid on. Yup, that was done in that picture, I had just pulled it off. I will attest to Rally's weber. I was there for his first pic and that meat was damn good after our hike! We use the go anywhere rectangular gas weber. It fits well in our Baja box. It does have some difficulty with wind. 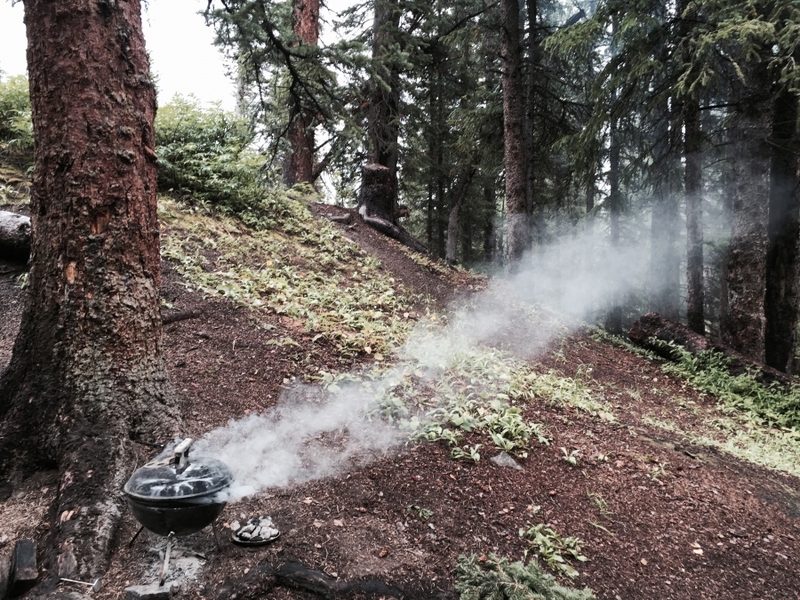 I avoid charcoal since i've been in areas with fire restrictions where not even charcoal fires were allowed. That is exactly why my preference for Propane, not for flavor or for convenience. Many times charcoal cooking and open camp fires are banned in high fire danger areas where they will still allow propane cooking. Many times charcoal cooking and open camp fires are banned in high fire danger areas where they will still allow propane cooking. That's when I move to cast iron. Ooooh. 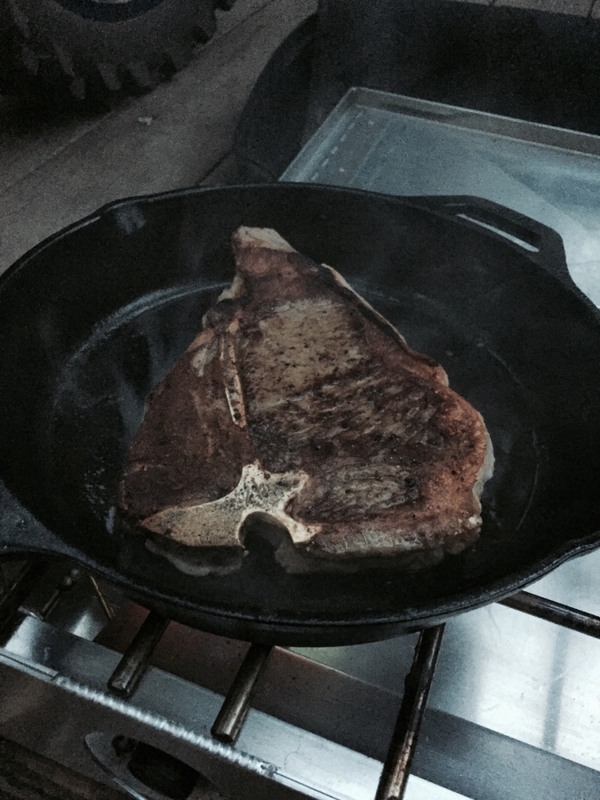 Porterhouse on a partner steel stove?